Construction is usually linked to civil engineering and architecture. It refers to a process which encompasses the assembling and building of infrastructure. It does not only refer to a single activity since there are large scale construction projects that require human multitasking. Most of the time, a project manager is around to manage construction projects. These projects also require the close supervision of construction managers, construction engineers, design engineers and project architects. If you want to successfully execute a construction project, then you have to make sure that you carefully plan for it. Before designing and executing the construction of an infrastructure, it is advisable for you to take into consideration a few essential factors. These include its environmental impact, budgeting, logistics, building materials availability, safety of the construction site, successful scheduling and any inconvenience that this project might cause to the public. It is also important for you to note that there are four major types of construction namely the industrial construction, residential building construction, heavy civil construction and commercial building construction. Each of these projects needs a distinct team for designing, planning, maintaining and constructing them. The design should also be carefully thought out. It should include drawings and specifications prepared by an effective design team which usually includes cost engineers, civil engineers, surveyors, electrical engineers, mechanical engineers, fire protection engineers, structural engineers and planning, archaeological and architectural consultants. The whole construction project should also be carried out by adhering to the laws and regulations mandated in the specific place where it is executed. Learning everything about construction is greatly possible if you take part in the construction certification program which is now available at Brainmeasures. Brainmeasures has become an extremely popular name in the online certification courses industry and this assures you that you will also get the best information after deciding to enroll in its construction course. What makes this certification course amazing is that it allows its participants to take full advantage of an extensive construction training which is developed in such a way that you will never have a difficult time understanding even the most complex terms and concepts associated to construction. This construction certification course makes it possible for you to gather accurate information about the different types of construction, steps involved in planning and executing a construction project, adhering with the rules and regulations in your state and the most vital elements that can make a construction project successful. Getting your construction certificate from Brainmeasures is such an excellent idea since this is a huge help in effectively honing your skills and knowledge in the field. 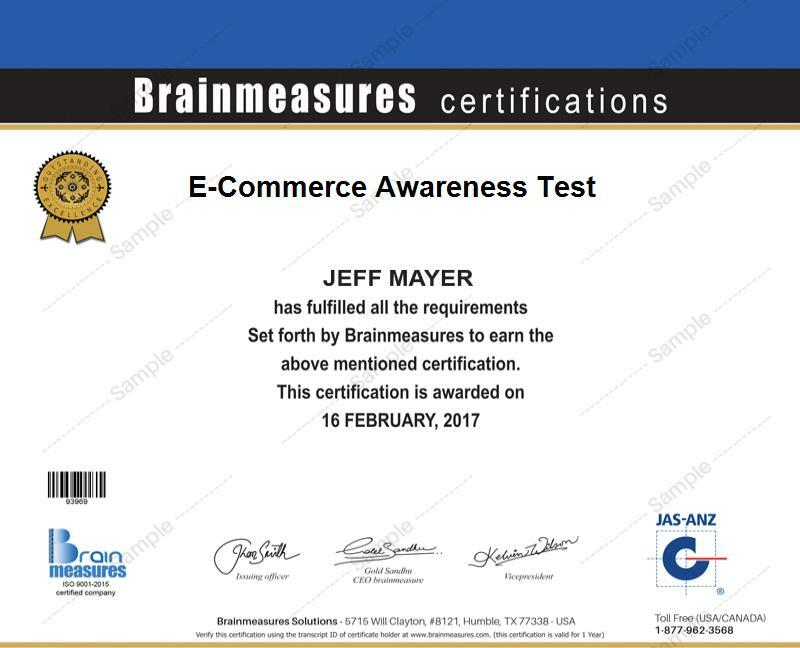 The comprehensiveness of the construction certification program which is now offered by Brainmeasures to the public is one of the major reasons why it continues to benefit different kinds of people. You can expect this certification course to be a huge help to architects, construction managers, building owners, engineers, real estate professionals, contractors, developers, design professionals and any other professionals who wish to gather more information about construction. Receiving your construction certification is also a huge help for you especially if you want to start accessing highly profitable positions. With the help of your construction certification, you get greater chances of working in the field of construction which usually offers an annual salary of at least $45,000. You can get the position of a structural engineer which allows you to receive around $52,000 to $89,000 annually. If you work as an architectural technician, then expect to start receiving around $65,000 to $95,000 per year.